If you’re looking for high quality and personal service, you’ve come to the right place. At RSSI, we’ll give you the attention and personal service you’ll come to expect. 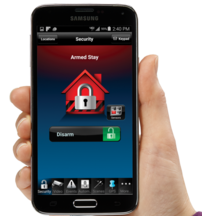 We offer the best in home and business security. Our rates are competitive, with no hidden fees. Our employees are friendly and will be there to help you every step of the way. REARDON SECURITY has been serving the Halton and Hamilton-Wentworth area since 2006. Let us put our experience to work for you. Home and business security systems professionally installed. Receive notification on burglary, fire, carbon monoxide, flood, and low temperature detection with ULC listed central station monitoring. Home Security Made Easy! Always know who’s at your door with the SkyBell HD Wi-Fi Video Doorbell. Available in Silver or Oil-rubbed bronze.